This is a completely free service. We offer a huge variety of merchandise, many of which are custom designed & created in our frame shop. All items are displayed professionally on easels to create a gallery setting. We come equipped with knowledgeable and professional staff to answer any questions and to fully handle the entire auction portion of your event from set up to payment collection and tear down. We make sure to keep the minimum bids incredibly low to make sure items get bid on as well as getting the overbids to allow the charity to retain the most money. Your organization keeps 30% of all the minimum bids PLUS 60% of all the overbids! 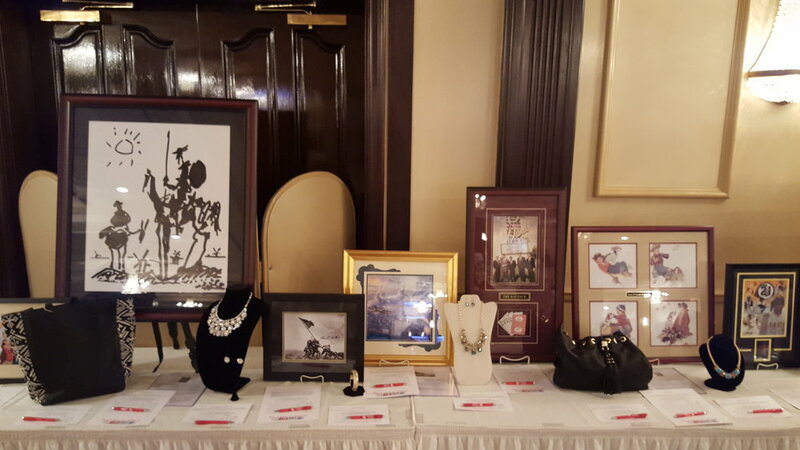 If you provide items of your own to incorporate into the silent auction then you will retain 100% of the bids for those items.